Home / Blog / General Information / What is a deposition, and what are they for? What is a deposition, and what are they for? In a civil lawsuit, any party to the lawsuit can require that a witness or other party submit to an out-of-court examination, under oath, before a court reporter. This is known as a deposition. Similar to testifying in court, the person being deposed (the deponent) is asked questions by the lawyers to gain information to be used at trial of the matter. The difference is that a deposition takes place outside of the courtroom, often many months before trial. 1. 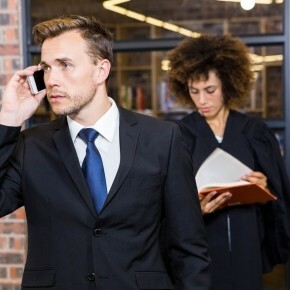 Evidence at trial– If a witness is unavailable or unable to testify at trial, a transcript of the testimony can be read during the trial for the judge or jury. The judge and juror may consider the deposition testimony in the same manner as if the witness testified live a trial. 2. Discovery– A deposition may be used to discover facts which the deponent may know, or to learn other facts that may lead to the discovery of other important evidence. 3. Impeachment of a Witness– Deposition testimony can be used to damage a person’s credibility when their deposition testimony differs from previous statements or from their testimony at trial. A lawyer is permitted to show these variations in testimony to the jury at trial, in an attempt to make the witness less believable. 4. Review of a Witness– A deposition can also be a “try-out” for a witness, letting the lawyers participating in the deposition see what kind of witness the deponent would make a trial by evaluating the deponent’s candor, honesty, and responsiveness in responding to the lawyers’ questions. We hope you have found this information helpful. The lawyers of Lafferty Gallagher & Scott, LLC has years of experience deposing negligent drivers, medical professionals and others who have caused injury or death to personal injury victims. If you have been injured by the negligence of another, contact the skilled lawyers of Lafferty Gallagher & Scott today! 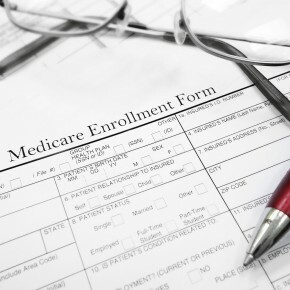 What is a Medicare Set-Aside and Do I need one?